For a Cleaner “Clean”That Makes a Difference – You need to Experience Our Eco Cleaning Service! Here at Eco Cleaning Services, Inc. we are focused on two things: Deodorizing and Odor Control that leaves no trace; and complete customer satisfaction. When we’re done, you’ll be pleasantly surprised at how well we’ve exceeded your expectations. When you want to get rid of offensive odors, the Eco Cleaning Services, Inc. experts are the ones to turn to. Regardless of what odor you are battling – smoke, fire-related, urine, sewer backups and more – we have the training, knowledge and knowhow to eradicate them completely. Our processes and techniques don’t use deodorizers to cover up odors – We eliminate stink completely! Unsavoury odors pose an unseen business risk. Along with a myriad of health and safety risks, they can lead to lost customers and declining sales. If you don’t want to deal with all of the problems that bad odor can bring to your business, then you need Eco Cleaning Services, Inc. deodorizing and odor control experts on your team. We’ll help you deodorize and clean your environment of unwanted stinks and smells. 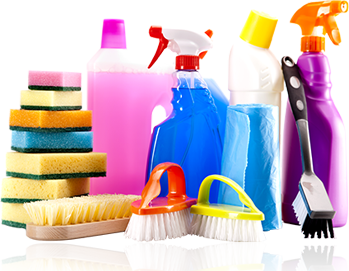 Eco Cleaning Services, Inc. deodorization experts are specially trained and equipped to spot and remove unsavoury odors of all kinds. Emanating from either within your facility or from outside, odors may originate from any number of sources, and we have the expertise to deal with them. Our highly experienced technicians can quickly help detect the sources of offensive odors by determining the circumstances of their origins. Then, through controlled measures over time, we’ll make the odors vanish without a trace left behind. At Eco Cleaning Services, Inc., we work with commercial clients to deodorize and clean all types of premises of unsavoury and unwanted odors. We’ll conduct a personalized facility assessment, and customize an odor removal action plan that’s tailored specifically for your premises.